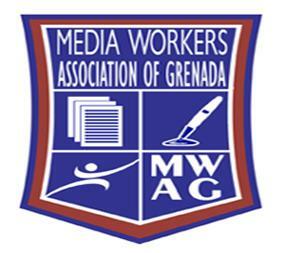 The members of the Media Workers Association of Grenada are deeply saddened by the tragic passing of media colleague, Hildebrand James, who up to the time of his death served as the Technical Director of the Government Information Service. Hill, as he was affectionately called by friends and colleagues, was a dedicated worker and showed great love and dedication to the field of media. His love and willingness to help was demonstrated in the good deed he tried to render resulting in his tragic death. His passing has truly touched many, and while it is tough for all, I encourage us all to be supportive of each other and find time to extend condolences to his family, friends and coworkers.